DeMars Guitars are sold directly to customers and to dealers and international distributors. 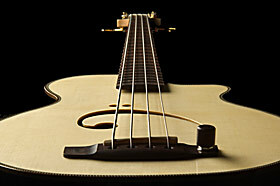 We are not a custom shop building “one-off” instruments nor do we produce instruments by the hundreds. We are a “small batch” shop that caters directly to those players who recognize DeMars instruments as unique and applicable to their playing style. Instruments are typically shipped within 6-8 weeks of a placed order…quicker if we happen to have completed instruments in stock. Every direct order requires a non-refundable 50% deposit upon placement of the order; balance is payable upon shipment of the completed instrument. We accept certified check, MasterCard, Visa and PayPal.